This week was pretty awesome. I ate actual food. There was a pot roast, some fried chicken, and an apple crumble. Nothing makes me feel better like food. Well an unlimited trip to Joann’s but we have to be reasonable. Crafty wise the week was better too. I stuck to my 100 Day Project. There were a couple of nights I had to get my 5 minutes in at 11 pm but that still counts. When I finish the flower medallion I am working on I plan on doing the outline of a bear that will go in a frame in the office. 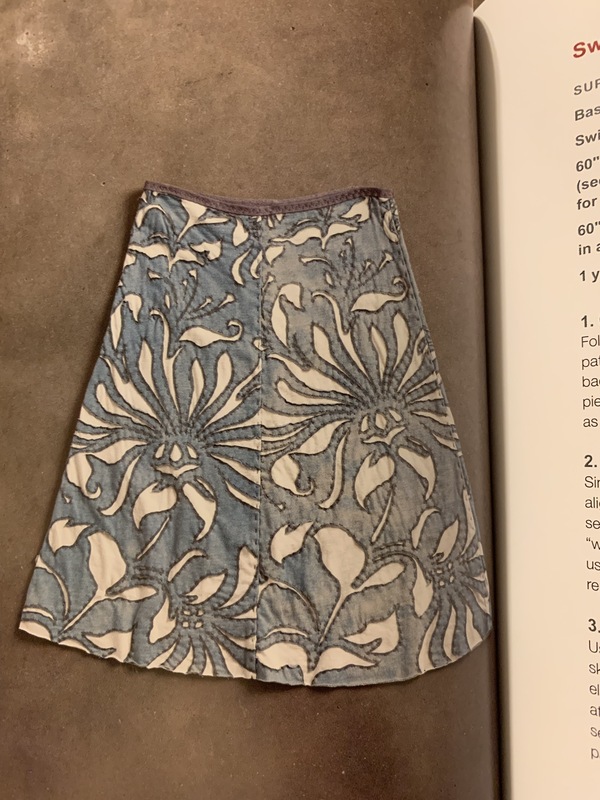 My goal is to make a couple of patterns from Alabama Chanin before my trip this summer. I have watched a couple of her tutorials on Bluprint and Creativebug. I think I am going to skip the stencil painting portion and use the stencil as an outline to cut out the fabric. Then stitch the layers together from there. I started working on the Lavena Poncho this week as my car project. It is a complicated cable pattern with a Cowl. I am hoping to have it ready by the end of the month. Depends on how much time I get in the car. I take Mermaid to story time at our local bookstore almost every Weekend. This morning we walked in to this box of fun. Mermaid grabbed it and started jumping around like a wind up toy. When she settled down she looked at me like I had done something wrong. Seriously. I have been holding out on her.